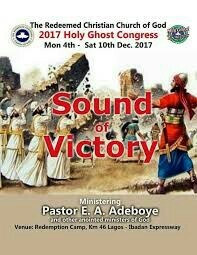 This year’s Holy Ghost Congress of The Redeemed Christian Church of God (RCCG) kicks off today at the church’s Redemption Camp, Km 46, Lagos-Ibadan Expressway. With the theme “Songs of Victory” the Congress will runs till December 9, each day packed with various activities, organisers say. Among those to minister at the Congress are Enoch Adeboye, general overseer, worldwide, and other preachers, such as Bishop Tudor Bismarck, Stephen Rathod (US), Mensa Otabil (Ghana), S.K. Abiara, Mike Okonkwo, Ayo Oritsejafor, and Joe Imakando. The Congress is not all about sermons, according to a programme released by organisers. Built in are special sessions for talks on various aspects of life. They include such topics as: Affordable diet for good health; Identifying and operating a profitable retail business; Preservation of agricultural produce; Small scale vegetable farming; The ABC of personal and family security; Managing family finances in a depressed economy; and The pitfalls on the journey to marriage. Expected at the Congress are members of the church from over 196 countries where the church has presence, and other people who would be attending for various spiritual reasons. Usually, with the twin auditoriums of the church full at the peak of the event, attendance is put at over six over million people. Many other people, who are not opportune to attend, are expected to participate through viewing centres in the 196 countries. 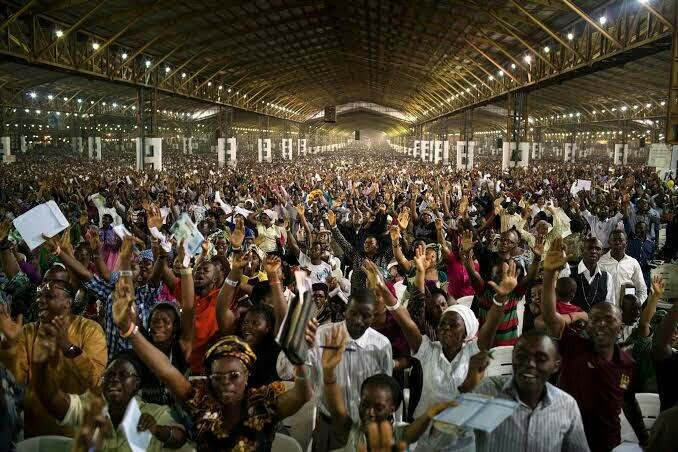 RCCG holds monthly Holy Ghost Services at the Redemption Camp, which is rounded off with a Congress in December. According to Pastor Adeboye, the Holy Ghost Service was first held in 1986. ‘I was shocked. The reason I was shocked was that: I didn’t know God would be interested in my birthday., And secondly, I didn’t know He could be asking me for about what I wanted as present. “He assured me it was Him and asked again what I wanted as a birthday present. “I needed to call the service a name, so I asked Him. “What happened at the first Holy Ghost Service was wonderful. And when we finished, my people came to me to request that I consulted God for the service to hold every year.